Gorgeous condo with the best views you can imagine. We will be back!!! Thank You very much. Glad you enjoyed your stay. This is a beautiful condo with absolutely amazing views. Jim was very kind! Great vacation with family. It was awesome, my family loved it! We stayed the week of Fourth of July with our kids. We all had a great time! The view of the ocean from the front deck is amazing. It was also nice to go upstairs on the deck in the evening and watch the sunset. 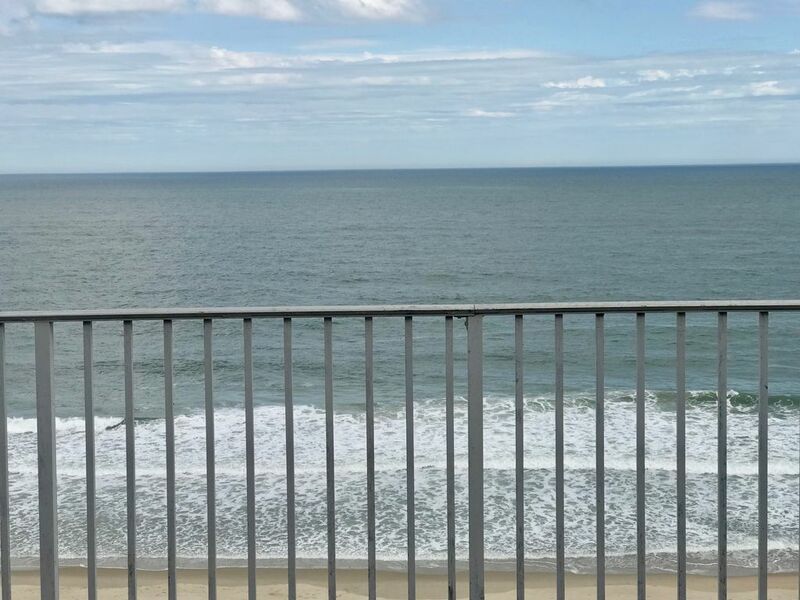 The location is convenient to downtown, as well as taking a trip up to Rehobeth (which we did!). It was also nice to be able to walk right across the street to the Ropewalk at night for a drink at the beach bar. Jim was very helpful and answered whatever questions we had ahead of time. We would definitely stay here again! We have been coming back for 25 years. The condo is quiet, family friendly and well maintained. Ruth and Jim are constantly upgrading with new furnishings, paint, carpet and tile. Just tell them something needs repaired and they are on it. Also there is the indescribable view over the Atlantic Ocean in front, and the bay from the back window. We enjoy eating at the many fine restaurants, shopping, relaxing on the beach or sitting on the balcony with friends watching dolphins swim by and the waves roll in. There is no better place for rejuvenating mind and body. Wonderful condo! Very clean and the accommodations were exactly as described by the owner. The balcony was fabulous and loved eating lunch and watching the beach. Huge plus, "This condo was clean" Highly recommend eating at Lombardi's Italian, Harrison's Seafood and Mancini's Italian. I would rent this unit again for any future beach vacations to OC!